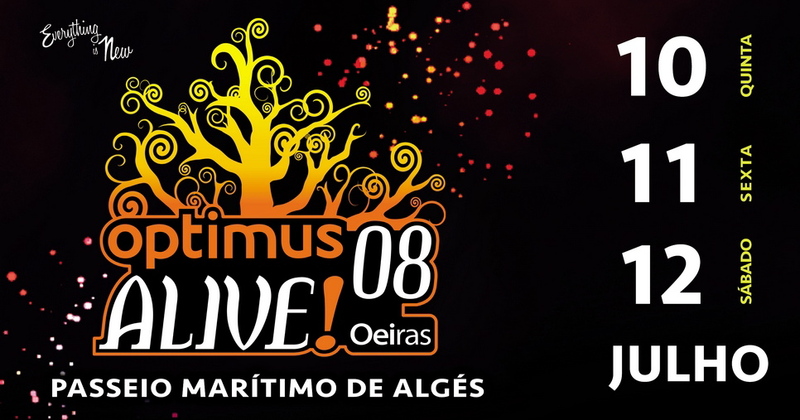 We listened to a lot of music on our Eurotrip, but the culminating event was undoubtedly the Optimus Alive!08 Festival in Lisbon. We heard about some kind of music thing from Australian backpackers who were on the train with us from Madrid to Lisbon, but we didn’t realize the scale of it until we saw the billboard outside of the train station. It announced Bob Dylan, Rage Against the Machine, Neil Young, The National, Ben Harper, Vampire Weekend, MGMT, The Hives and just about everyone else you could think of. But for my best friend, Irem, and I, only one name stood out — The John Butler Trio. “Zebra” was the first John Butler song I ever listened to. It introduced me to this bluesy, country twang, sometimes reggae-inspired jam band genre that later made me love Dispatch and the Black Keys. And when I heard John Butler play “Zebra,” I was screaming by the opening note. People turned with raised eyebrows and looked at me, but it really didn’t matter. Come on! It’s Zebra! And it was amazing. We got to the concert at around four, and after making the rounds and checking out the other booths, we decided to head to the still pretty empty stage area and wait for John Butler. They weren’t scheduled to play until around 7.30, I think, but we didn’t want to risk ending up in the back. The only other people there were dressed all in black. They’d been standing there in the hot sun since the gates opened, waiting for Within Temptation, a goth-rock band following the Trio. They made it very clear that they weren’t moving for nobody. So instead we joined them. By the time the first act, a ska-folk-gypsy big band, was done, the audience had filled the space completely and we were locked in. We had forgotten to get drinks or food, but I had danced so hard to the other band, I asked the kind woman in front of us for a sip of her water. I’ve never asked a stranger that before or since. Around a quarter to six, an announcement was made that Nouvelle Vague, playing before JBT, were stuck at the airport and wouldn’t make it. Instead, the John Butler Trio had agreed to go on early. Yes. Irem and I were a little disappointed to see that John Butler had cut off his beautiful signature dread locks. “It’s not the real John Butler,” we whined. But as they opened with “Treat Yo Mama,” maybe the only twangy rock song that makes me want to start recycling, we quickly realized that this was definitely the real John Butler. And he’s amazing. “Zebra” was their closing. Every single person was singing along, which is easy because it doesn’t have that many real words in it. It made me understand why Woodstock 1969 was so special. It truly was music bringing people together. 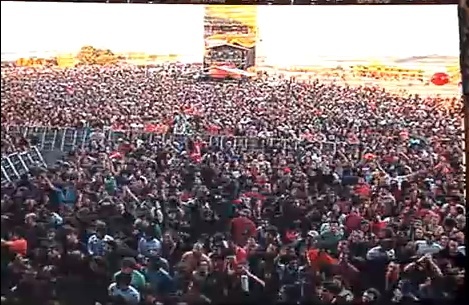 I wrote in my travel journal that night that walking to the gates of Optimus Alive! felt like our holy pilgrimage, and that I only wish it was annual. Irem and I have been to quite a few concerts together, and there’s few things as cathartic and scream-singing with your best friend. That’s what John Butler was, combine with the awe of seeing one of your favorite artists do what they do best. Sadly, I lost my camera’s memory card, so none of us have pictures or videos of that night, although many were taken. I found this video from the festival of Shannon Birchall’s solo on the bass, and Michael Barker’s drum solo. It gives you an idea of the musical genius we witnessed. When Michael Barker threw his sticks into the crowd, this very very tall, very very scary Scandinavian guy behind us caught one. We asked if we could have it, but he refused, saying that he’d sell it on eBay later. He didn’t even know who John Butler Trio was! We didn’t press it, though, because earlier he’d yanked a drunk girl by the hair unto the ground because she was pushing her way to the front. He apologized profusely, but still, a very very scary guy. 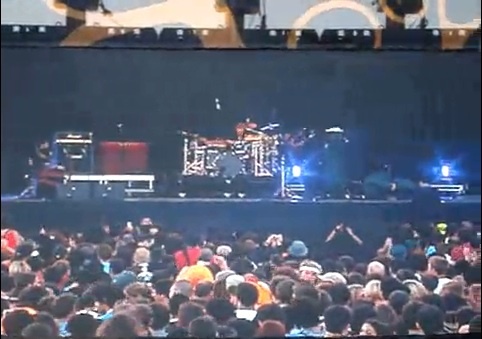 While I was watching the video, I thought to myself, “You know, we were pretty close to the stage. Couldn’t it be possible that you can see me in this video? I was wearing my red shirt that day!” So I looked, but it was harder than I thought: Red was popular. But then! Was that me? It could be! But even though that person’s wearing red, I don’t think I had my bag with me that day, and their hair looks darker. Also, I think that’s a man.